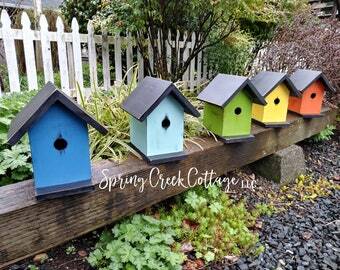 Welcome to Spring Creek Cottage! We are so pleased you have dropped in. 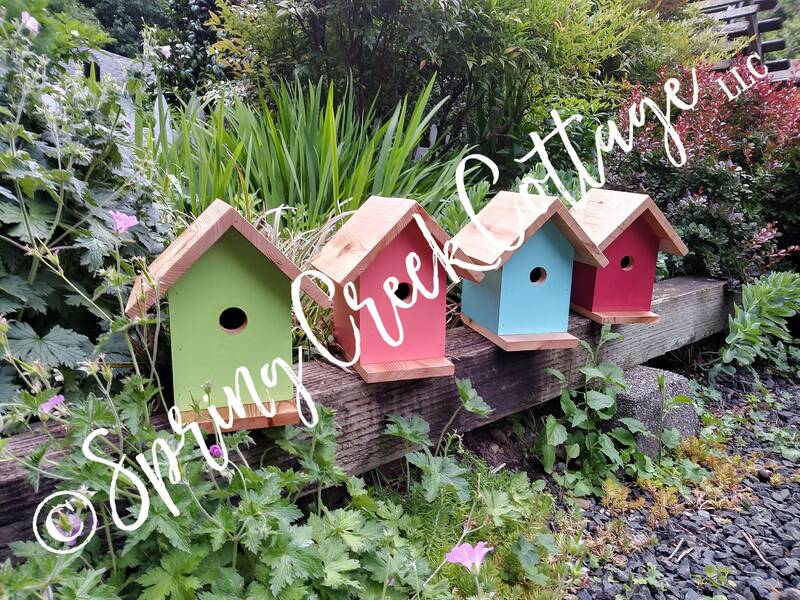 At Spring Creek Cottage we enjoy assisting you in the creation of your ideas, giving you endless possibilities for a truly unique gift tailored to each of life's special milestones. Whether you have an upcoming wedding, anniversary, housewarming, baby shower, birthday, graduation, or memorial, our bird feeders are made with a quality that honors life's most precious moments. We hope you enjoy your visit, please don't hesitate to reach out to us if you have any questions. 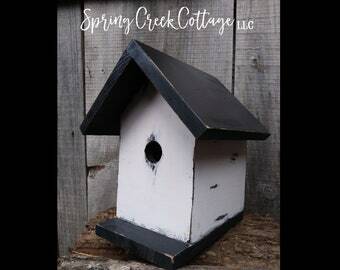 ➽ Our bird houses measure 10 inches (or 25.4 centimeters) by 9 inches (or 22.86 centimeters) by 7 inches (or 17.78 centimeters). 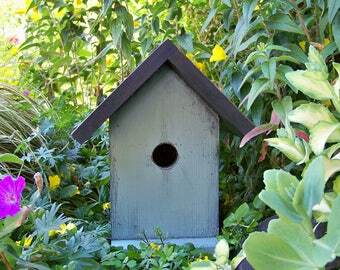 ➽ Each cedar bird house is handmade from local cedar harvested in the Pacific Northwest. 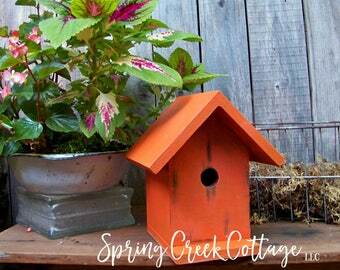 Our rustic bird houses are genuinely handmade and hand painted by our family, one at a time, at our cottage in Washington, USA. 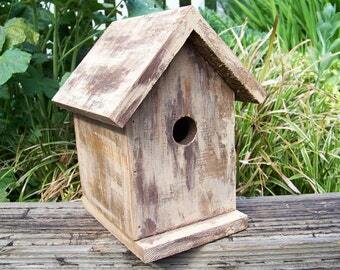 WE NEVER USE artificial wood products. We take great pride in each feeder we create so you can have confidence in the workmanship, both as part of your backyard birding or as a gift for the bird lover in your life!